The reasons for companies to adopt the continuous feedback process could be found in the proliferation of digital technologies and digital business models all over the world. 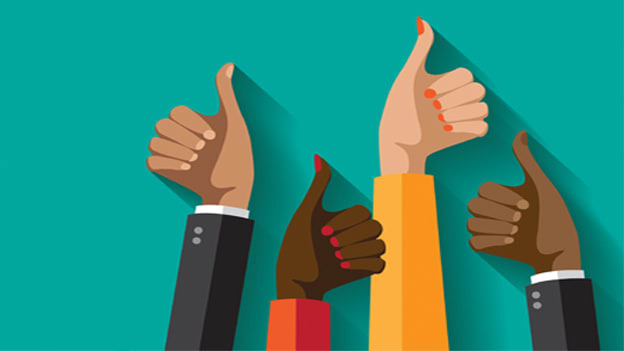 As per an HBR article published in October 20161, it can be construed that the start of continuous feedback was in 2002, when a company named Colorcon abandoned its practice of annual performance reviews and replaced the same with supervisors giving people instant feedback, tying it to individual goals and handing out small weekly bonuses to employees they saw doing good things. Interestingly a month later Facebook Head of HR, Lori Goler2 published an article in HBR which talked about why Facebook is maintaining performance evaluations. This made an interesting distinction between the performance review process and its outcome. A year earlier Deloitte3 had published an article talking about their revised performance management process in which they argued that based on research done in 2000, it was found that 62 percent of variance in ratings could be accounted for by individual raters peculiarities of perception. The research further stated that actual performance accounted for only 21 percent of the variance. The research thus concluded that though the performance rating implicitly assumed that they are measuring the performance of the rate, in reality they tell us more about the rater. The above clearly indicates the debate on the next generation performance management process is far from over, though we seem to be reaching a consensus about use of continuous feedback mechanisms in the process. While the overall process and its outcomes are still be designed and redesigned by organizations as per their business and industry realities. Some estimates indicate that about a third of American businesses have abandoned annual performance reviews and replaced the same with continuous feedback. In a growing economic environment coupled with talent scarcity one of the top challenges worrying business leaders today is of employee engagement and retention. Traditionally companies conducted annual employee engagement surveys and benchmarked themselves against peers to identify with best practices that made them “best place to work”. As companies look to address the issue of employee engagement they realize that it’s an extremely complex issue with as much as 20 distinct factors contributing to it. While these annual surveys provide a guidance many a times they fail to provide specific actions that organizations can take to improve on their engagement scores. The changing nature of work and engagement thus forced companies to look at an alternative method which “listened” to employee feedback on a more regular basis and provided actionable insights to management. The other drive for this change happened as companies started to implement continuous performance management they often realized that feedback and engagement surveys should be connected to the process. This continuous feedback process at organizational level is termed as Pulse surveys. They are slated to replace the annual employee engagement surveys just like continuous feedback is to replace annual performance appraisal systems. These short surveys typically served to employees on a daily, weekly, or monthly basis are auto generated and can be based on certain events in the organization or in the work being done by the employee. The objective of the pulse surveys is simple – provide managers and leaders with a snap shot of what’s working and what’s not working more frequently for them to take action, thus improving employee engagement at work. These surveys can help identify management issues, leadership gaps, safety and compliance issues, and fraud and theft problems never before made visible. As described at the beginning of this article, we see that continuous performance management as part of the performance review process is a growing trend. As per Deloitte’s 2017 Global Human Capital trends research4, 70 percent of companies are in the process of reinventing the performance management process in their organizations. The impact of these changes is being measured and 90 percent of companies that redesigned performance management saw direct improvement in engagement, 96 percent said the process is now simpler and 83 percent said the quality of conversation between employee and manager improved. The performance management process is being reviewed and its scope is getting expanded to focus more on development than just evaluation. This means that goals and objectives or OKR’s will be part of the performance management systems it will also include frequent conversations focused on identifying areas of strength and specific skills required to perform the tasks better5. The conversations will also focus on coaching and development while providing avenues to even discuss career paths in the organization thus understanding employee aspirations and enabling them to achieve the same. Agile feedback loops – Weekly check-ins complement the company’s performance paradigm of recognizing, seeing and fuelling performance for the future. Short term focus – According to Josh Bersin, companies that set quarterly performance goals generate 31% higher returns from their performance process than annual ones. And monthly performance goals give better results. Qualitative KPI’s – changing nature of work and need for regular feedback necessitates development of qualitative performance measures. Integration with business goals – rethink how to link rewards and recognition to qualitative feedback received during check-ins. The continuous feedback systems will definitely generate a lot more data via its frequent interactions between employee and manager, and companies are hoping to leverage this data to make informed decisions. As companies operate as network of teams and are shifting from jobs to work in their operations the need to align goals, provide feedback and coach for performance is real time, continuous and multi directional. With the rise of people analytics and metric driven decision making in the organizations, the continuous feedback systems are becoming an important source of qualitative data that can be coupled with quantitative data to make more informed decisions, provide employees with specific feedback and development inputs, and also track impact of certain actions on specific metric and variables. With artificial intelligence (AI) being introduced in these continuous feedback systems, it can take up simple tasks of actually selecting a particular question to ask a particular employee based on certain events and analysing trends. AI can help managers decipher data and identify specific actions based on the data available. Analytics and AI can work together to build predictive models while also providing contextual insights for taking certain specific actions. These tools can help managers analyse specific interventions and thus identify the ones that are likely to make impact based on predictive models and historic data. When one looks at the market of continuous feedback tools one sees the variety of players each focusing on a specific niche. While large solution providers like SAP Successfactors, Workday, Oracle, CornerStoneOnDemand, Ramco, Myadrenalin, and ADP have all either acquired or built these capabilities, newer point solutions have also emerged in the market. Apart from the above mentioned providers one also has solutions like Lumesse, PageUp People, PepleFluent, Sage People, Saba+Halogen, SilkRoad, SumTotal Systems, Techomedia Talent management solutions, and Ultimate software, all are doing similar things. Reflektive, Qilo, Zugata, Betterworks, Darwinbox, Impraise, TinyPulse, 7Geese, HighGround, Globoforce, Upraise, and OC Tanner also provide interesting solutions in the space of continuous feedback and performance management. Companies like Glint, IBM kenexa Employee voice, Peoplestrong, Mercer’s Sirota, CEB, Qualtrics, Culture Amp, Waggl, Perceptyx, Engazify, SelfDrvn, Actionable Conversations, Ultimate software’s Kanjoya, Hyphen, Emplify, Officevibe, n!Factorial, Happyness Quotient, InFeedo and few others are providing solutions focused on building employee engagement. However implementing a continuous performance management system especially in a global environment is a difficult task as cultural or regulatory aspects may restrict the innovations in the performance management process. Adidas Group, for instance found that its employees in Asia wanted a more traditional, structured approach while US workers wanted a more agile process. As per research by Neuro Leadership Institute; 88 percent of companies took two years to gain significant traction with a new performance management system. Designing and building a culture of continuous feedback is a journey and has multiple facets that organizations will have to consider. As we have seen companies that have embarked on this journey have continued to make changes – for example – Deloitte, PWC and others that tried going numberless are reinstating performance ratings but using more than one number and keeping the new emphasis on development feedback. As companies embark on this journey of building the culture of continuous feedback they would have to embrace multiple changes in technology tools while also investing in building employee and manager capabilities of both receiving and giving feedback to each other. As the continuous feedback process becomes a two way street, organizations will also build mechanisms to make people accountable for the feedback they give and receive. In this journey companies would have to continuously educate people and develop processes to identify best practices while helping employees and managers understand and cope with both positive and negative feedback.